Naia™, Eastman’s cellulose acetate yarn, showcased its sustainability and versatility at InterfilièreParis, the international event for lingerie, activewear materials and accessories, Jan. 19-21. At the show, Naia™ partnered with Jos Berry, founder and CEO of Concepts Paris, to present a session on consumer insights and emerging opportunities for apparel manufacturers in the bio-economy. 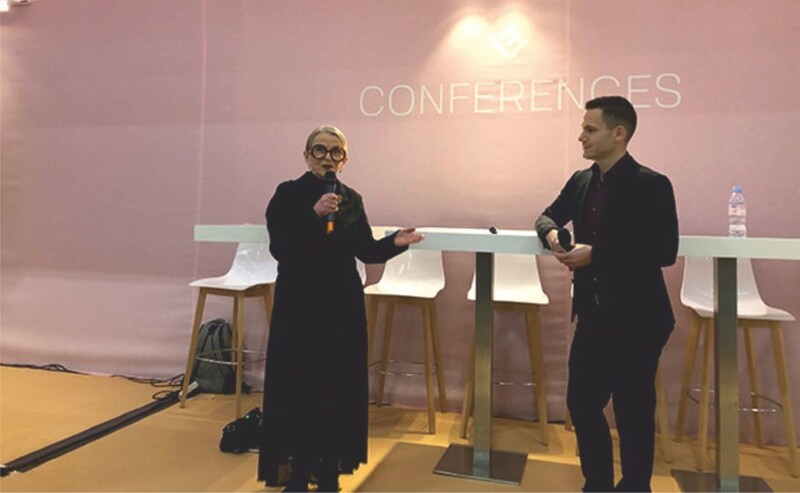 Concepts Paris CEO Jos Berry and Eastman Market Insights Leader Justin Coates discuss consumer insights and emerging opportunities for apparel manufacturers in the bio-economy at Interfilière Paris. In addition to the new Calida line featured at Interfilière, JETSAustralia selected Naia™ as a primary ingredient in breathable, moisture-wicking fabrications for its spring line of swimwear cover-ups. Both Calida and JETS collections are currently available in stores.